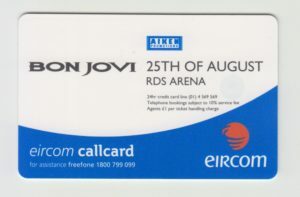 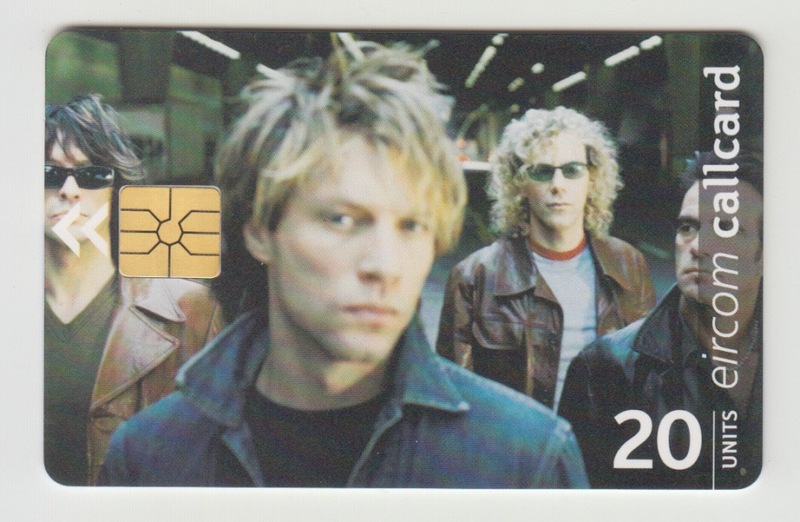 August 25, 2000 CRUSH tour, a phone card created for the campaign to rise to the stage of the Ireland, Dublin performance. 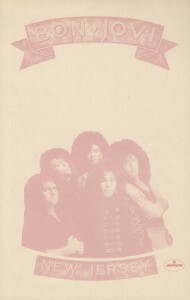 Winners were invited to the stage by lottery out of the campaign applicants. With a mini booklet with a telephone card and campaign rules written. 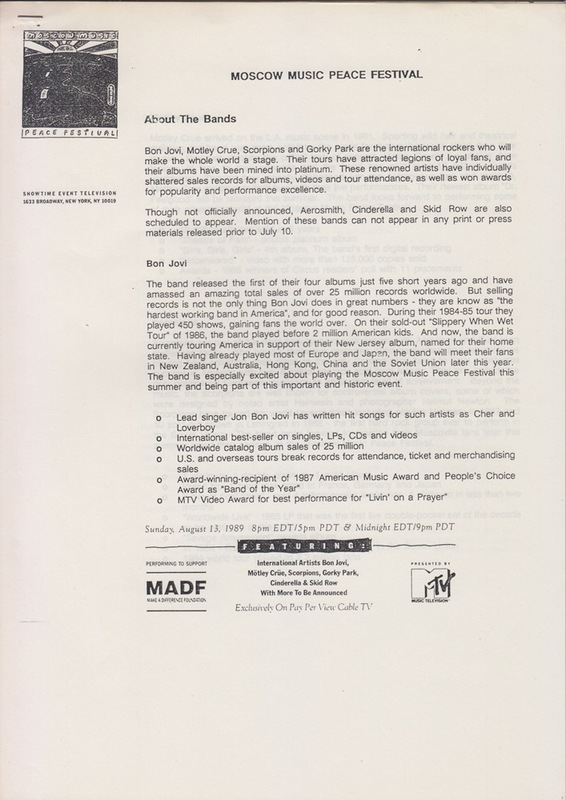 A press sheet distributed before holding the Moscow Music Peace Festival held at Lenin Stadium in Moscow on August 12 and 13, 1989. A summary of the festival, a promotion schedule from May 1989 to the day, and a schedule for broadcasting are written for all 21 sheets. 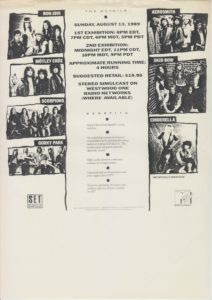 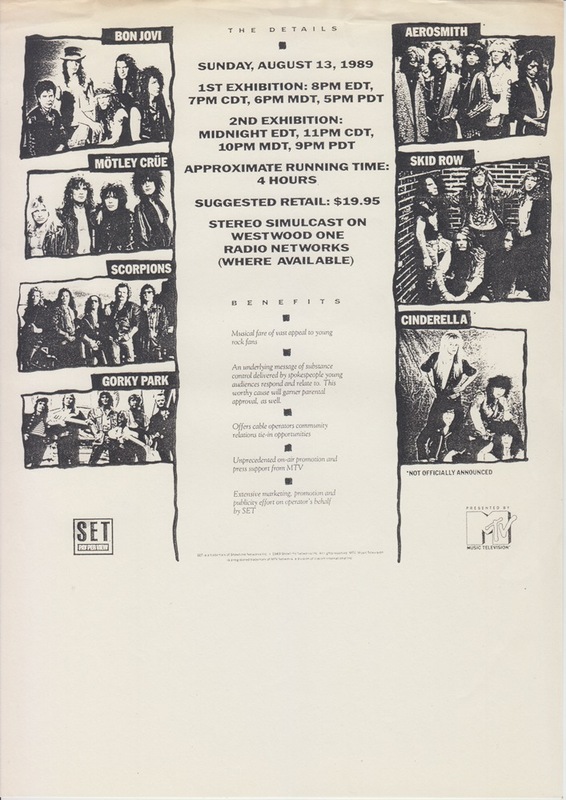 Because it was distributed before the entire decision of the casting band, not only did BON JOVI, OZZY OSBOURNE, MOTLEY CRUE, SCORPIONS, CINDERELLA, SKID ROW, and GORKY PARK finally appeared, as well as the name of AEROSMITH who did not appear It is also marked. 1988-1989 countdown live, which was held at the end of the year, “Sanyo Heat Beat Live ’89”. 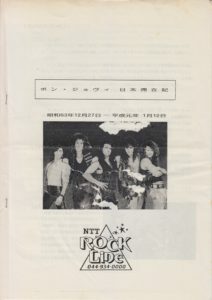 Campaign election campaign conducted using the telephone service “NTT ROCK LINE” as a gift proposal. 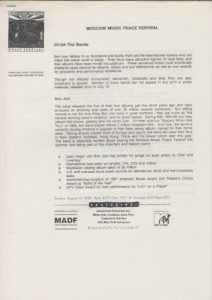 All 10 pages. 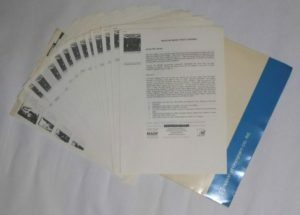 The events during Japan’s stay across the turn of history such as the Emperor’s Death from December 27, 1988 to January 12, 1989 are detailed. 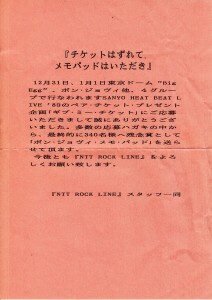 1988-1989 countdown live, which was held at the end of the year, “Sanyo Heat Beat Live ’89”. 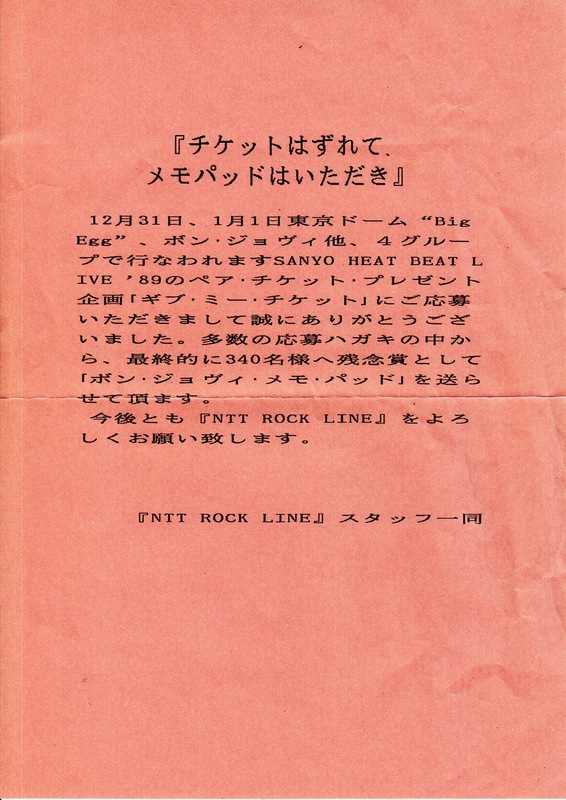 At its ticket gift it was performed using the telephone service, “NTT ROCK LINE” as planned “Give Me Ticket” campaign, and memo pad that has been presented to 340 people as a consolation prize. With winning greeting.